Xenoblade Chronicles is an action-based RPG released on the Nintendo Wii that feels modern and fresh, but encapsulates the very best features of classic RPGs. 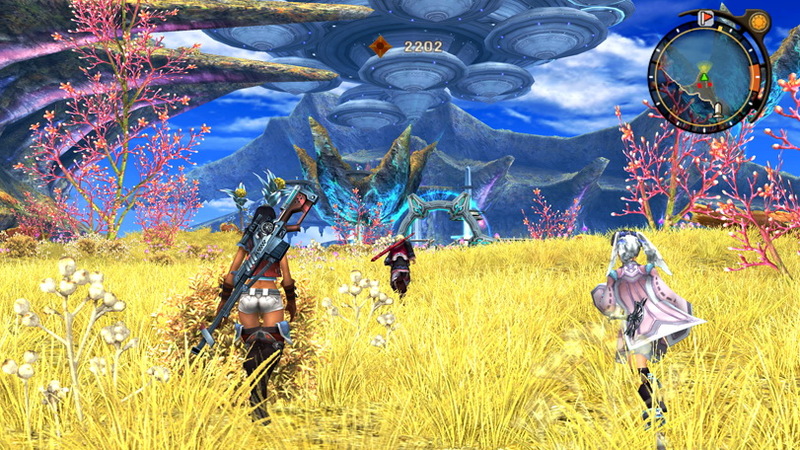 Designed by Xenogears director Tetsuya Takahashi, Xenoblade’s story takes place on a world unlike any other. The world is literally the body of two ancient petrified titans, the Bionis, where human-like species live and the Mechonis, home to the antagonistic mechanical creatures known as the Mechon. Xenoblade Chronicles will draw you in with its magical world, that is endlessly expansive and features some of the best art design since Chrono Cross. Exploration is at its best, as pretty much anywhere you can see, you can travel there by foot. This is an epic adventure that will leave you in a sense of wonder every time you encounter a new area. The narrative is also engrossing, as what starts out as a story of personal revenge against the Mechon, becomes something much more. 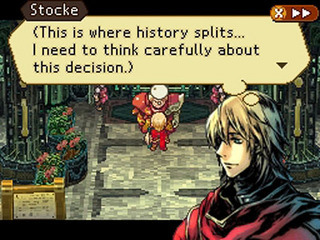 The game is never slowed down by the story though and most cutscenes are action-packed, leaving the player wanting more. The characters are well developed and the main cast really have a reason to be part of the story, as the conflict has all directly impacted their lives. The stand out characters include the seasoned hero Dunban, who brings a sense of urgency to proceedings and the main protagonist Shulk, who has the ability to see visions of the future through the legendary sword the Monado that he wields. The plot offers many twists and turns that genuinely surprise and evoke emotion. Xenoblade Chronicles has so many impressive features, but it is the battle system that will keep the player coming back for more. 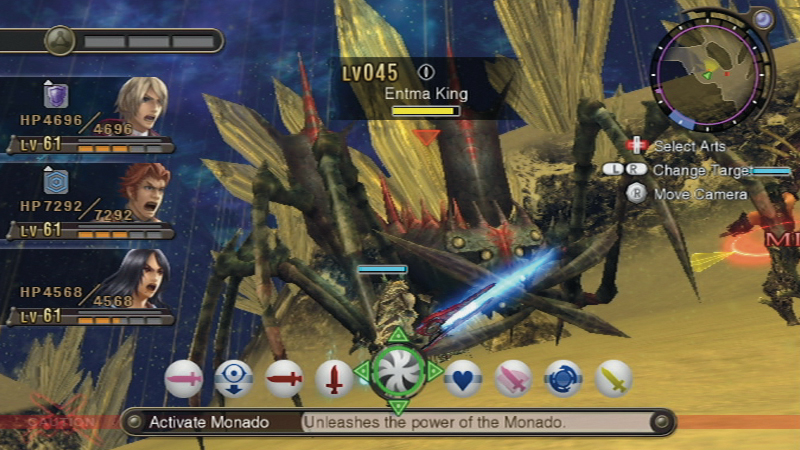 Unlike other action-based systems, battles in Xenoblade require strategy and can’t be won by just mindlessly attacking. Normal attacks are performed automatically leaving the player free to execute special attacks, move their characters into a more advantageous position, discover the proper strategy to defeat enemies and organise chain attacks between the three party members. 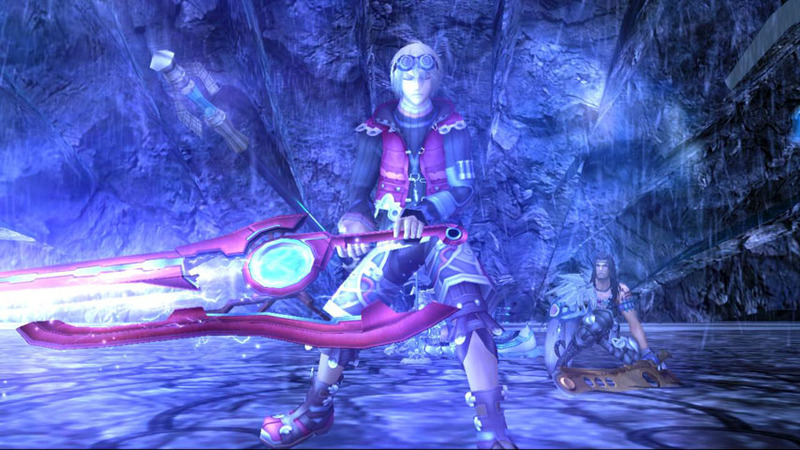 The game adds more abilities as the story moves on, such as Shulk’s ability to see a vision of a powerful attack that the enemy is planning, allowing the player the chance to warn the other characters and prepare for a counterattack. The game play is deep and engaging, but never poorly explained, letting the player learn by experience, something many modern game developers do not understand. The soundtrack of Xenoblade Chronicles is also an epic, featuring music from six composers including the well known Yasunori Mitsuda and Yoko Shimomura. The music is full of life and does not contain much repetition as many songs include multiple sections. Areas in the game such as Colony 9 contain different music depending on whether it is day or night, as the tracks for the day portray upbeat, exciting themes, while the night-time tracks are softer and calmer. The “Main Theme” is exquisite and beautiful and “Engage the Enemy” is an extremely emotional piece that is played during important parts of the game. This is one of the best video game soundtracks in years. 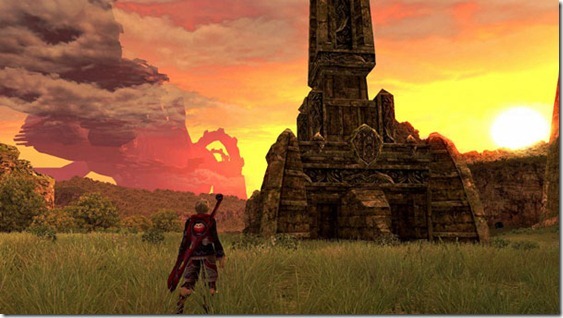 Xenoblade Chronicles is an RPG that must be played. It is how modern RPGs should be designed and it is comparable to Chrono Trigger in the way it makes so many innovations, but gets all of them right. If you wish to play an RPG that respects its tradition but knows when to try something new then you should play Xenoblade Chronicles. Final Fantasy IX is a turn-based RPG released on the PlayStation which returned the Final Fantasy series to its roots and provided a charming adventure of discovery. Final Fantasy IX is a love letter to classic RPGs of the past, but mixes the best of the old and the new to provide a magical journey featuring castles, princesses and medieval knights. It revisits ideas from old SquareSoft titles but incorporates progressions in mechanics, game play and presentation. The whimsical music and fantastic art direction come together to enchant you in a world that is begging to be explored. 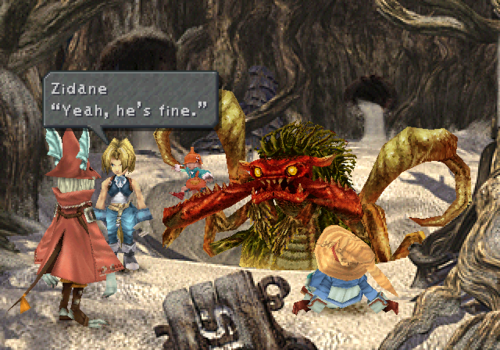 The story of Final Fantasy IX starts off with carefree thief Zidane attempting to kidnap Garnet, the princess of Alexandria. Featuring romantic plays, black mages, swords and sorcery the fairytale narrative progresses to a darker, more serious tone as each of the main characters are faced with their own shortcomings and fears. The character development is some of the best in the series as the young black mage, Vivi questions the true meaning of life and death and princess Garnet is faced with the responsibility of being Queen to an entire kingdom. The plot constantly switches between different groups of characters enabling them all to share the spotlight. The dialogue is also expertly translated and is a joy to read and follow. The battle and customisation systems are more simplistic than other RPGs and as such really let the game play shine. 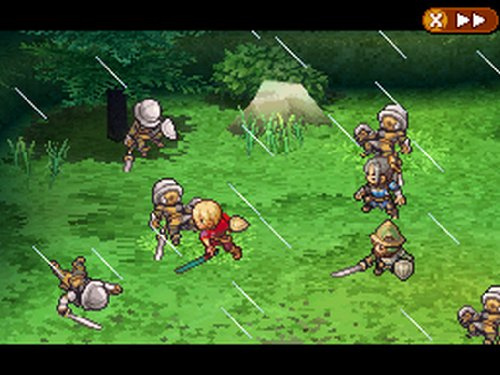 The battle system is turned-based and each character has a certain role in battle, making the composition of the party critical to the player’s strategy. Only some characters can cast Summon spells, or only some characters can steal items and it adds to the dynamic of teamwork and choice for the player. New abilities are learned from equipment and this is both intuitive and easy to manage. Expanding the experience is also many great mini-games including the well developed card game Tetra Master or using your Chocobo to dig around the world map to uncover various secrets and treasures. The music of Final Fantasy IX adds to the wonder of its world and story. The soundtrack evokes images of the spectacular fantasy setting and is a pleasure to listen to. It includes flamenco in some pieces as well as stirring flute melodies in others. Highlights include the vocal track “Melodies of Life” which perfectly captures the spirit of the game and the haunting “You’re Not Alone” which will instantly grab the player the moment it is first experienced. Final Fantasy IX is an imaginative RPG with lots of character and appeal. If you are looking for a RPG that will take you on a whimsical adventure like a classic fairytale, then you should play Final Fantasy IX. The Legend of Heroes: Trails in the Sky is a turn-based RPG released on the PlayStation Portable which is known for its gigantic narrative and fantastic characters. Trails in the Sky is an RPG that puts its story front and centre. It brings you into its fully developed world and provides you with a wealth of information regarding its history. 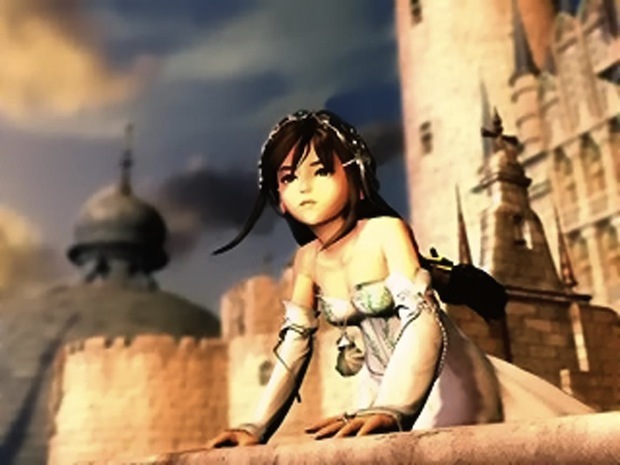 While the narrative is strong, it is very much the characters personalities and interactions that will keep the player engaged and constantly wanting to advance the story. It is not the destination, but the journey that matters most in Trails in the Sky. Trails in the Sky is actually the first chapter in a trilogy of games and its story begins with Estelle and her adopted brother Joshua as they train to become Bracers to uphold the peace in the land. As Estelle looks for her lost father she uncovers a plot to overthrow the Queen and jeopardise the freedom of Liberl Kingdom. It all sets up an interesting plot twist that ends on a cliff hanger that leads into the second chapter. The relationship between Estelle and Joshua is the highlight as both of them have well defined personalities that develop over the course of the story. Whether it is Estelle losing her temper, Joshua mocking her naivety or just conversing with the other interesting characters spread around the world the dialogue always bring a smile to the players face. The combat system is traditional turn-based, but allows the characters to freely move around the battle arena adding an extra element of flexibility. 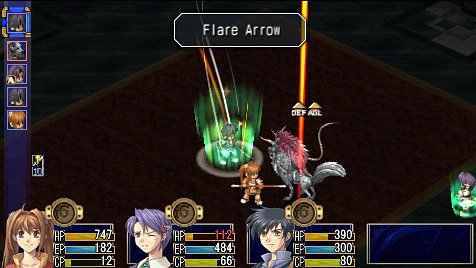 Each party member has their own special technique that allows them to interrupt the turn order and execute powerful attacks. 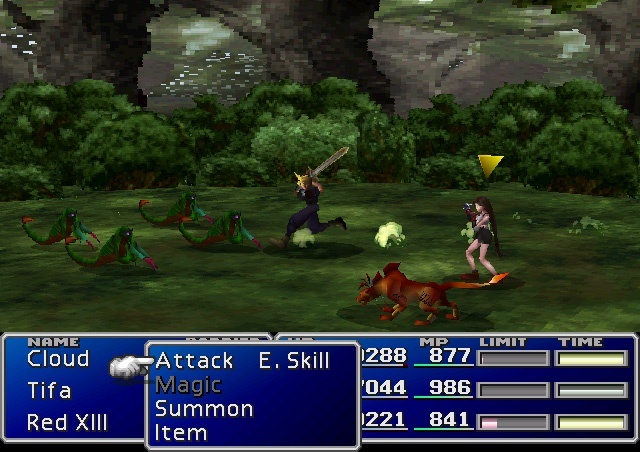 The customisation system is similar to the Materia system found in Final Fantasy VII and enables characters to insert Quartz into their Orbment devices to cast magic spells and increase their statistics. Players can also participate in side quests to receive rare items, rewards and increase their Bracer points. The soundtrack of Trails in the Sky is upbeat and carefree. The tracks suit the mood of a light-hearted adventure, but also include epic orchestral pieces when the need arises. The music direction is definitely unique, shown by the battle theme “Sophisticated Fight”, which unusually is a fun jazz piece. Another highlight is “Where the Stars Are” which has both a vocal rendition as well as a fantastic harmonica version that will instantly have you humming along. Trails in the Sky is an extremely fun adventure that will hook you in with its charm. If you are looking for a RPG that tells a compelling story with great characters, then you should play The Legend of Heroes: Trails in the Sky. Chrono Trigger is a turn-based RPG released on the Super Nintendo, created by a dream team of designers, which is often regarded as the greatest RPG ever made. Chrono Trigger is a joy to play. Every part of it’s design is intuitive, well thought out and memorable. The time-travelling plot is captivating, the characters are diverse and interesting and the game play is engaging and fun. The beautiful 2D artwork and legendary musical score are imaginative and coupled with fantastic pacing; Chrono Trigger provides a video game experience unlike any other. The plot involves travelling through time to settings such as prehistoric times, the Middle Ages, the present, a post-apocalyptic future and even to the end of time. The different time periods provide diverse locales and character types, helping to keep the story fresh and entertaining. The main characters are charming and unique. It is easy for the player to grow attached to them throughout the journey and have a genuine interest in their fate. The characters are given great personality and development, from the righteous cursed knight Frog, to the dark anti-hero Magus. 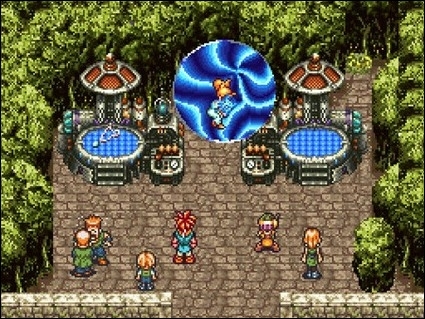 Chrono Trigger utilises a turn-based battle system similar to the Final Fantasy series, but allows for combination attacks between the party members. Battles are fast paced and special attacks are simple to execute, leading to fights that never drag and are always fun and satisfying. It’s this straightforward sense of design in many aspects of Chrono Trigger that has been lost in the development of modern games. The soundtrack of Chrono Trigger is among the greatest ever produced. Despite the limited hardware, it features so many outstanding tracks and melodies. It includes tracks such as the heroic “Frog’s Theme” that perfectly defines the character, as well as background music such as “Corridor’s of Time” which is so mysterious and unique that it conveys exactly what it would be like to enter the magical kingdom of Zeal. Yasunori Mitsuda created an audio masterpiece that will likely never be surpassed. Chrono Trigger is a timeless experience that is as good today as it was 15 years ago. 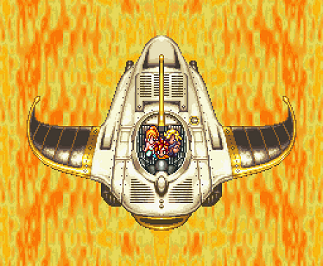 If you wish to understand why RPGs are so loved, then you should play Chrono Trigger. Terranigma is an action RPG released on the Super Nintendo only in Japan and European countries. It is an extremely rare and well crafted adventure. Terranigma is full of mystery. From the initial desolate world, to the haunting music, the game hooks the player in promising an intriguing tale. The game seems simple at first, but quickly opens up to become an epic and addictive experience that keeps evolving the further it goes. The story of Terranigma puts you in the shoes of a mischievous boy named Ark. After accidently opening Pandora’s Box, Ark must set out to resurrect the world. The plot is well paced and the visual changes to the environments, after their restoration is both beautiful and rewarding. It feels like the world is alive and every quest is bringing you a step closer to accomplishing your goal of rebuilding the world. The story of the game is both engaging and thought provoking and Ark has enough personality to carry the narrative and keep the player constantly interested. The main game play revolves around controlling Ark as he roams through various towers, dungeons and landscapes. 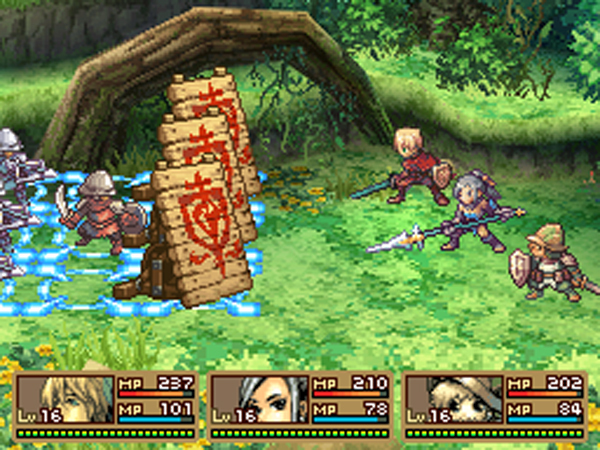 The game utilises an action-based battle system allowing Ark to perform many different techniques with his spear and rods such as spinning or sliding attacks. He can also cast magic spells from one-time use items created from Magirocks. Boss battles are also memorable and wonderfully designed. The game play of Terranigma keeps the action fast paced and caters to various play styles. 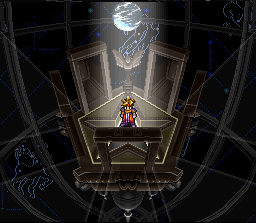 Like the rest of the game, the music of Terranigma is amazing. The atmospheric background themes such as “The Underworld” add a sense of weight to the narrative, while perfectly setting the picture of a world in need of revitalisation. The “Boss Fight” and battle themes also help to portray a sense of urgency and suspense to the game play. The sensational soundtrack really is the extra layer that completes the great presentation found in this game. Terranigma is a rare treasure that should not be missed. 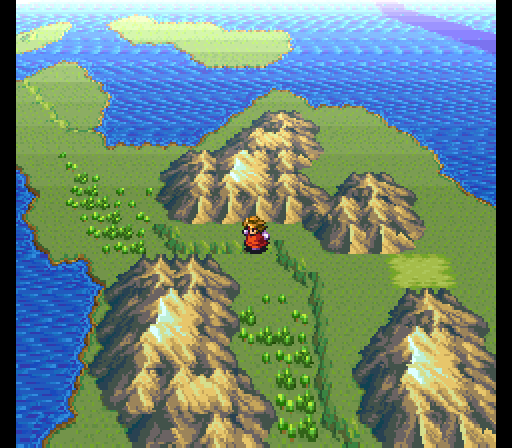 If you wish to play one the best classic action RPGs of all time, then you should play Terranigma. Final Fantasy VII is a turn-based RPG released for the PlayStation which is often regarded as one of the best video games of all time. Final Fantasy VII was a revolution in video games. It introduced RPGs to the mainstream, brought cinematic FMV sequences to the storytelling and took millions of people on an unforgettable adventure. 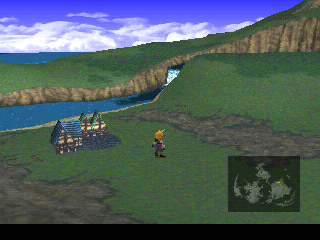 The world of Final Fantasy VII is engaging and the various locations feel like people actually live there. Never before had interesting characters, a deep narrative, cinematic presentation and intuitive game play come together so well. Nor has it since. The story begins as ex-SOLDIER Cloud Strife joins an underground resistance group attacking the corporation he once worked for. What starts out as a simple mercenary job, leads to a story of revenge, love, identity and ultimately a journey to save the planet’s life. The story includes some of the most iconic characters in RPGs, which are all well fleshed out and really make you care for them. 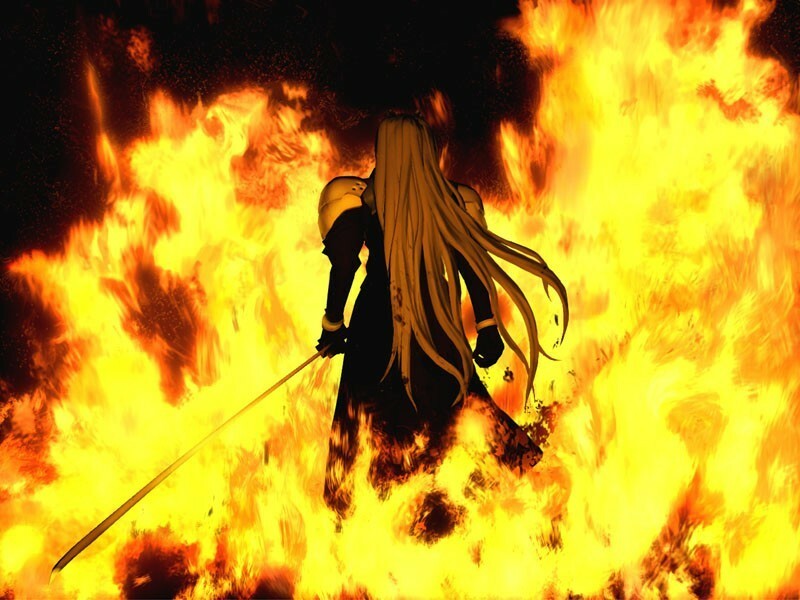 There are so many memorable scenes; from the death of Aeris, to Sephiroth burning down Nibelheim, that are accompanied by thought provoking and emotional dialogue. Final Fantasy VII’s narrative will keep you thinking about it long after you have stopped playing. 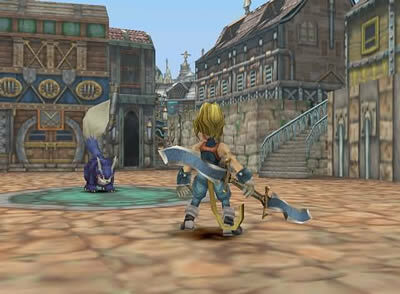 Battles are fought using the Active Time Battle (ATB) system used in most games in the Final Fantasy series. Materia can be collected and equipped onto character’s weapons and armour, providing them with the ability to use various forms of magic and call Summon Monsters into battle. As Materia itself is levelled up, all magic can be equipped on any character to increase customisation and can be linked together to create unique combination attacks. Game play is reminiscent of many RPG’s but one area that Final Fantasy shines is in its extravagant mini-games. From snowboarding, to a motorcycle chase and even a theme park, many of the mini-games in Final Fantasy VII could be expanded into their own games. The world of Final Fantasy VII truly comes alive when combined with its stellar soundtrack. 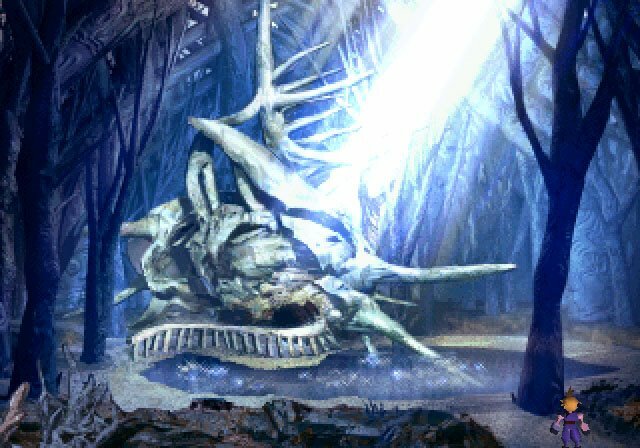 The music is dark and emotional and adds as much to the atmosphere as the fantastic graphical design. “Aeris’ Theme” provides the most emotional and memorable song in any RPG, while “One Winged Angel” will put you on the edge of your seat in anticipation. The music is magnificent and escalates the game into the top of its genre. Final Fantasy VII is most meaningful experience I have ever had with a video game. If you wish to play an RPG that has it all, then you should play Final Fantasy VII.